Remanufactured Transmissions - Are They Worth Buying? Remanufactured Transmissions – Are They Worth Buying? 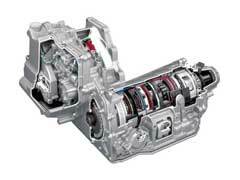 If you are having problems with your transmission, you have many options available to you. One is you can buy a new part, which can cost you thousands of dollars. If you are adept at making repairs, you can buy transmission rebuild kits and finish the job yourself. Alternatively, you can buy remanufactured transmissions. Remanufactured transmissions are disassembled and rebuilt with new components and the big draw to them is their price. If you were to compare used transmission prices to new ones you’ll notice a sizeable gap. Often, you are able to buy remanufactured transmissions for up to half the cost of a new one. However, before deciding to buy one, here are some benefits and drawbacks to consider. One benefit of these is they save you much money. With the economy in the tank most drivers cannot afford to buy a new transmission, therefore, remanufactured transmissions become much more appealing due to its lower cost, thereby giving you the ability to fix your car. Additionally, many of these come with warranties. Depending on where you buy these from, you can receive anywhere from a one to three-year warranty, which will give you peace of mind in knowing the company stands behind their product. Meanwhile, there are some drawbacks to these. For one, not all companies will replace parts like the gaskets and seals with new ones. In turn, this means it’s possible you will receive a transmission with older parts, which could make it susceptible to leaking over time. Additionally, not all companies offer excellent warranties on these. If you come across a company that does not offer a fair warranty (one that lasts at least a year) do not buy from them. Used transmissions can still cost you a pretty penny and companies should be able to back up their products. Ultimately, the best course of action, if you can afford it is to buy new. However, if you cannot, be sure to shop around for a great deal. Furthermore, be careful with buying cheap used transmissions, as you will get what you pay for. Regardless of which method you go with, once you have repaired your transmission it’s important to do regular maintenance on it. This means doing flushes, as recommended by your car’s manual, as the flushes can remove build-up, which will help keep your transmission running in great condition. Furthermore, when you compare the transmission flush cost to what it takes to repair a damaged transmission, you will find flushes to be an inexpensive way to protect your part for the long term.